Each year Embark Credit Union and the Great Falls Development Authority honor exemplary women in business. Thank you to Embark Credit Union for sponsoring so there is no charge to attend. 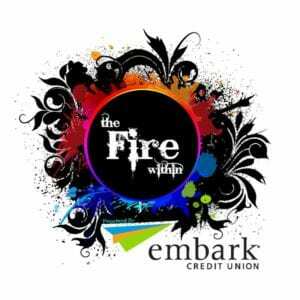 SAVE THE DATE for the 10th Annual Fire Within taking place Thursday, March 26th, 2020. Check back in the fall of 2019 for nomination and registration information. This award will go to a Woman Business Owner in an established business that has made a significant personal contribution to its success, growth or expansion. We are looking for a business savvy woman who has helped or is helping other business owners or budding entrepreneurs. The winner will have: five plus successful years in business and mentored at least one other entrepreneur. This award will go to a Woman Business Owner who has recently realized her dream by starting a new venture. Her early success and accomplishments show her creativity, passion and drive. The Aspire winner will have: Less than 5 years in business and a successful start!